Dragnet SFR Provides long lasting protection, in fact, for over 10 years Dragnet SFR has been known to last longer than ANY other termiticide on the market, in some tests lasting 7 years! 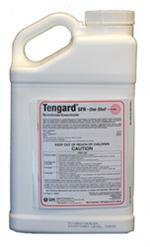 The fact is, More homes are treated with Dragnet SFR than any other pyrethroid insecticide. In fact FMC reports OVER 10 YEARS of satisfied customers! In USDA field trials, Dragnet SFR termiticide simply lasted the longest, still showing residual effects after 7 years in some cases!. Professional use of Dragnet Termiticide has been just as successful. Over time, ALL termiticides degrade and break down in the soil, but Dragnet SFR, and ONLY Dragnet SFR termiticide remains effective even if only a small amount remains in the soil. Permethrin, the active ingredient in Dragnet termiticide, has very low volatility, meaning you won't be exposed to airborne residues after treatment, and the barrier doesn't move in the soil, keeping you healthy. Dragnet SFR termiticide has an almost no odor unlike most of the competitors termiticides that have extremely strong smelling ingredients, like xylene-range solvents, which are common and will leave an unpleasant petroleum smell. Bottom line, Dragnet SFR Termiticide is a greatly superior termiticide giving you longer lasting protection and the greatest satisfaction available.